When it comes to building outdoor living spaces, homeowners have endless material options. There are pros and cons to all materials be it wood, concrete, rock, or composite decking. One of the growing areas in the outdoor living industry is hardscapes. 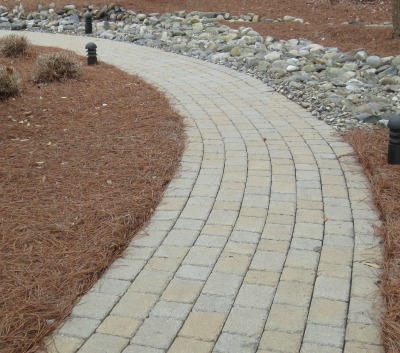 Versatile in installation and look, hardscapes can complement any home and property. While versatile and strong, pavers and hardscapes, just like any outdoor living surface, require regular maintenance to look its best. 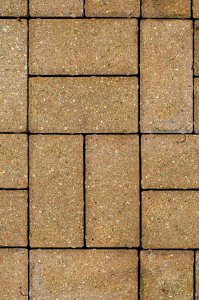 Pavers withstand the elements well, but they are also very porous when not sealed. Water, dirt and grime can settle into the surface. In cold environments that can actually cause damage to the material. Water will settle into the surface and, if it freezes, will crack and/or crumble the material. A good sealant, however, can keep those pavers looking like new for longer. If you have existing pavers, before sealing, you want to clean them so you aren’t sealing in any of the grime. At Renew Crew, we provide eco-friendly hardscape cleaning. Applied to the surface, our product gets into the nooks and crannies, loosening any embedded dirt, grime and other materials. Once given a chance to work its cleaning magic, our trained technicians will power wash the surface to rinse everything away. We suggest that if you have pavers on your property, to have it professionally power washed when the time comes. Because of its porous nature, when too much pressure is applied to bricks, pavers and other hardscape material, it can chip or break the material. Sealing the product is the final step in Renew Crew’s three-step cleaning and sealing process. Whether you want a matte or shiny, wet look finish, we roll on a protective layer on top of the dried pavers. That thin later wicks away moisture, beading it on the surface and stopping it from seeping into the material. Spot cleaning (or rinsing off with the hose) will keep it looking nice throughout the season. We suggest resealing outdoor surfaces every one or two years depending on the amount of use or travel a surface gets. If you’re in need of outdoor cleaning and sealing, please contact your local Renew Crew office.